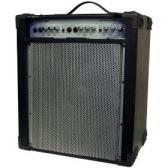 Guitar Amp Reviews – Pyle-Pro amplifiers have been made to ensure the satisfaction of the needs of the guitarists. It has been doing this for over 35 years of its inception. The quality it gives still stands out to date. Most customers found this device to be the bomb. It basically kicks like nothing else. The customers found it to be very super loud and it produces sound like a full stack amp.